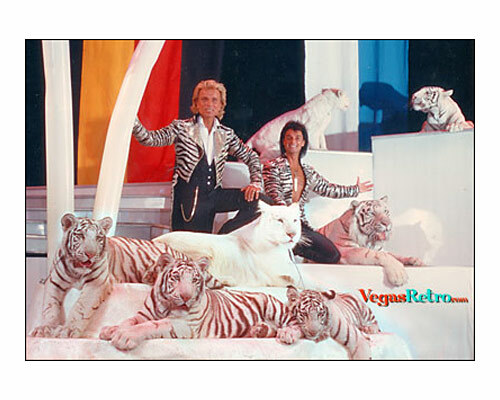 None of the photos shoots of Siegfried & Roy were easy because it is never easy working with wild animals, but this shoot at the Frontier Hotel was one of the more difficult. Photographer Robert Scott Hooper laughs "7 tigers, white on white with two very tan guys....a lighting nightmare. "RSH Photographed backstage at the Frontier Hotel for their show "Beyond Belief".